Welcome to the Old Masters Academy™ course! This course was created to help you to improve your oil painting skills and to learn what it takes to paint like the Old Masters using modern materials. Unlike in contemporary art colleges, here you will get straight to the point of traditional oil painting techniques with all non-essential information excluded. The course curriculum is suitable for complete beginners as well as for advanced art students. Studying in the comfort of your home is a great advantage of this course. As an Old Masters Academy™ student, you will have lifetime access to all video lessons as well as personal support by the Academy tutor. There is no time pressure; you can study at your own pace. However, keeping track of your progress is your responsibility. That is why it is better to have a hard copy of this Action Plan to remind you what steps to take. Most likely, you already have some art materials including oil paints, brushes, palette, etc. There is no need to purchase straight away all materials listed in the Old Masters Academy™ Shopping List. This document is just a guide for the future – what materials to consider when you run out of your current supply. In the Old Masters Academy™ video lessons, you might find some unfamiliar art terminology, like Scumbling, Velaturas, Turbid medium effect, etc. To understand what it is all about, you may download and read the “Elements of Art & Art Vocabulary” document before starting with video lessons. For the “Color Theory” and “Various Oil Painting Methods” sections, you will find handy Worksheets and Templates that you can download and use for practical exercises. A good understanding of oil painting materials is important for a professional fine artist. During the time of the Old Masters, painters often prepared paints and mediums themselves, which was time consuming and required a deep knowledge of pigments, oils, and other materials. Today, we have the luxury of art supplies, which saves time, but many artists are hardly aware of what is exactly inside their paint tubes and how different paints affect the longevity of a piece of artwork, how lightfast those pigments are and what materials are better than others. In art lessons 6-12 you will find the necessary information about reliable oil panting art materials and tools. One of the main “secrets” of the Old Masters is the way they mixed and applied colors. The indirect method of oil painting with optical mixing of colors is the key to painting like the Old Masters, so the importance of watching the section on the Color Theory and doing proposed exercises should not be underestimated. A good understanding of basic principles of working with oil paints will help you to master optical effects of paint layers. In this section, the Worksheets will become handy. After you master the Color Theory, you need to put it into practice. In video lessons 26-35, you will find various methods of oil painting including both indirect and direct painting and three groups of the Old Masters’ techniques: multi-layered, glazing and alla-prima. For all different oil painting methods, you can use the same small portrait as painted by the course tutor, Natalie Richy, (the Portrait Template is conveniently provided) or paint any other portrait or object. There are only four colors from a Limited Titian Palette that are used here; despite the color simplicity, this section offers a great benefit of learning how to paint directly and indirectly, achieving mechanical and optical mixing of colors. The aim here is to put into practice and learn the difference of various painting methods that have been used since the time of the Old Masters. With the knowledge of the Color Theory and Various Oil Painting Methods, you can progress to watching video lessons about two great artists of the past – Titian and Rembrandt. In the multi-part video lesson about Rembrandt, you will find out how this artist created his masterpieces, using tonal painting approach, and in the case of Titian, a painting approach based on color. All technical information comes from research and publications by leading scholars from the scientific departments of major museums, such as the National Gallery, London; the Metropolitan Museum of Art, New York; and the State Hermitage Museum, Saint Petersburg. Although these lessons will mention historical pigments, your aim is to learn painting approaches and methods rather than materials, as many paints used in the past are obsolete today and can be adequately replaced by modern materials as advised in the Old Masters Academy™ Palette. Equipped with the necessary information on oil painting materials and techniques, it is time to put your knowledge into practice. This section contains 21 multi-part video lessons on creative projects done by the course tutor, Natalie Richy, including oil painting and drawing. The best way to learn here is to first watch all videos one by one, making notes if required, and then use gathered information for creating your own artwork in the media and technique of your choice. 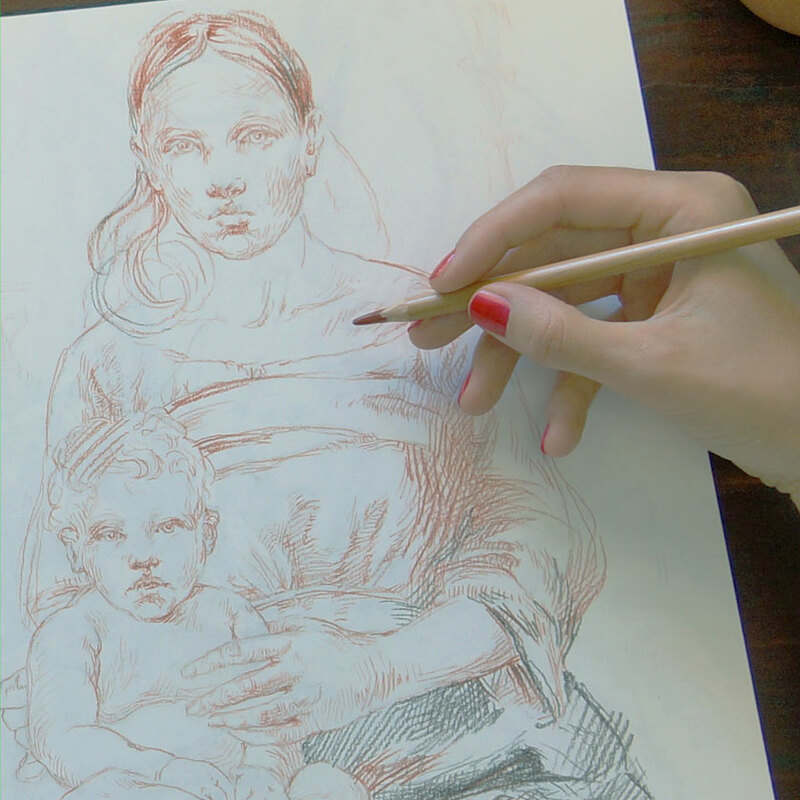 There is no need to copy paintings and drawings you see in these videos. The objective is to learn how to become an original fine artist and be able to paint and draw your own works of art, using traditional painting and drawing methods you’ve learned in the Old Masters Academy™ course. One of the advantages of this course is the access to the Old Masters Academy™ Community, including the Students Gallery. 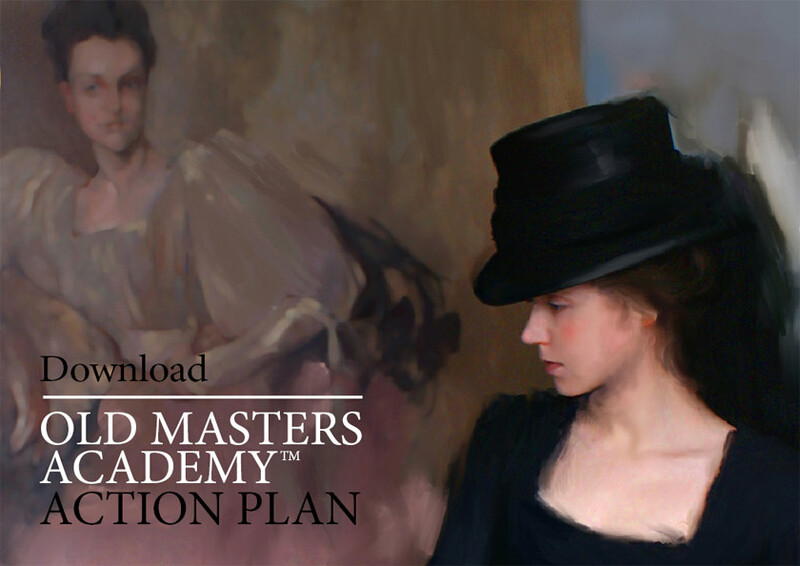 As an Old Masters Academy™ student, you can publish your works of art in the Students Gallery and benefit from a constructive critique by the course tutor, as well as get feedback from fellow students and art lovers visiting your Gallery pages. After completing the course, you can apply for the Old Masters Academy™ Diploma of Excellence in your name. There are no exams, but we would like to make sure that you have benefited from this course. That is why we want to see your works of art made before and after the Old Masters Academy™ course and hear your feedback about your learning journey. You can apply for a Diploma anytime after three months from enrollment here. 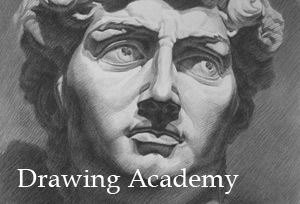 » Drawing Academy – Learn how to draw whatever you see or imagine. Discover fundamental techniques of classical drawing, constructive drawing principles, rules of composition, perspective, golden proportions, proficient tonal rendering techniques and much more. 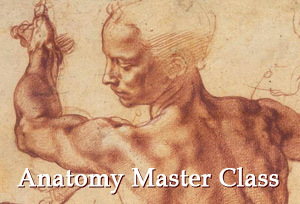 » Anatomy Master Class – Learn how to draw human figures and portraits. This anatomy course is for students like you, who don’t have much time for learning. This is one of the most comprehensive, yet totally beginner-friendly courses on anatomy for artists you will get great benefits from. » How to Draw a Portrait – The step-by-step guide on how to draw a portrait in the three-quarters view. » How to Draw in Perspective – The all you-need-to-know about drawing in perspective. 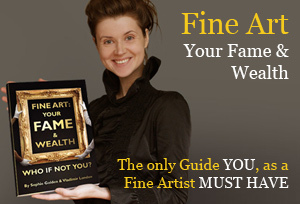 » Art-fame.com – Practical self-promotion guide every artist must have.